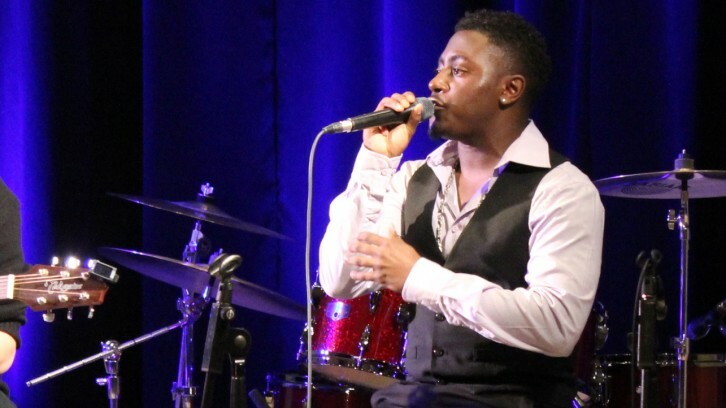 When R&B singer Owen Lee lived in Toronto, he sometimes felt shunned by the music industry. “I’ve definitely been hired to do a lot of engagements where they required my voice, but they didn’t necessarily want my face to be seen,” he said. 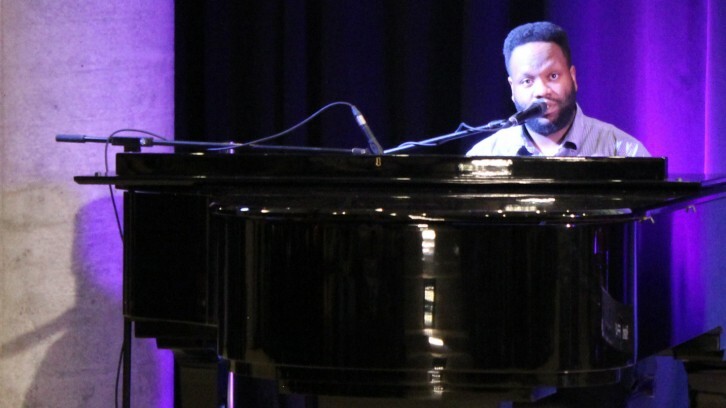 Tuesday night, Lee and other African Canadian artists were in the limelight at Lift Every Voice: African Heritage Month Music Showcase at the Halifax Central Library. This showcase was one of many African Heritage Month events hosted at the library. The lineup consisted of Lee, Des Adams, Keonté Beals, Chelsea Amber, Reeny Smith, and the New Beginnings Ministries Praise Team. Lee, 28, moved to Nova Scotia from Toronto around a year and a half ago. Here, he feels welcome in Nova Scotia’s music industry. “Here, I’m embraced more. I definitely know that there’s discrimination here, but there’s a sense of community that I love amongst the black people,” he said. Lou A. Gannon Jr., 71, is the president of the African Nova Scotian Music Association. He was contacted by the Halifax Central Library to help run the event. He says ANSMA was started around 18 years ago because African Nova Scotians didn’t get much recognition in the music industry. “Music itself, it’s a way to relax people and to educate people. When you think about music, it doesn’t matter if it’s rap or opera, they all tell a story about something,” he said. In the 1970s, Gannon used to play guitar in a band while he was a mature student at Dalhousie University. He stopped playing around 10 years ago so he could help younger local musicians instead. One of them is Keonté Beals, a 19-year-old R&B artist from North Preston. Last year, he won the ANSMA Emerging Artist of the Year award. Beals says music has the power to change lives. Vanassa (Asia) Symonds is on the board at ANSMA, as well as being the director of both the praise team and the choir at the New Beginnings Ministries church. She thinks that African Heritage Month is important in Canada, and that African Nova Scotians deserve more recognition. “It’s important that everybody gets to know what we contributed to,” she said. ANSMA will hold its 18th annual awards show, which ends African Heritage Month, at the World Trade and Convention Centre on Feb. 27.